The top 5 drugs people overdose on are fentanyl, prescription pain relievers, heroin, cocaine, and methamphetamine. A CDC analysis of 2016 overdose deaths found that overdose death rates are increasing, and they are often higher in states east of the Mississippi River. Among people aged 15 and over, adults aged 25–34, 35–44, and 45–54 had the highest drug overdose death rates at around 35 per 100,000. If you or someone you know is abusing drugs, consider seeking help. There are several different types of treatment programs that can accommodate different budgets and preferences. Treatment can help you or your loved one avoid the harm of addiction and get back to living the life you love.
. Katz, J. (2017). Drug Deaths in America Are Rising Faster Than Ever. The New York Times.
. National Institute on Drug Abuse. (2018). 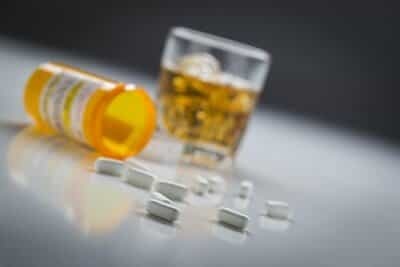 Prescription opioid use is a risk factor for heroin use.
. National Institute on Drug Abuse. (2018). Methamphetamine.
. Centers for Disease Control and Prevention. (2017). Drug Overdose Deaths in the United States, 1999–2016.